The New Year is almost here and we are sure you have already heard the phrase “new year, new me” a few times. At some point, we’ve all been guilty of promising to kick start the new year with a healthy regime after reflecting on festivities, without it carrying on past February. However, adopting a healthier regime, doesn’t have to be as daunting as it might seem – especially not when you are in Scotland! Scotland is well known and loved for its hills, mountains and endless walking routes, ready for you to discover and explore whilst marveling at some beautiful sights. We’ve put together some of our favourite retreats with plenty of opportunities to immerse yourself in the great outdoors, whilst keeping fit, soaking up the scenery and burning off those mince pies. The Hermitage is a stretch of Perthshire forest originally designed as a pleasure ground for the Dukes of Atholl in the 18th century. This forest is home to giant Douglas firs (some of the tallest in Britain!) that tower over the paths, leading to the Black Linn Falls. 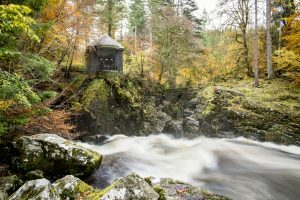 Other sights to look out for along this walk are Ossian’s Hall, built as a centrepiece for The Hermitage, and if you enter through here, it will lead you to a viewing terrace over the River Braan. The route then continues to the dramatic Rumbling Bridge before a return through more open countryside with attractive views. This is a great walk for beginners who enjoy a stroll rather than a strenuous hike. If this sounds like your cup of tea, why not book your stay and visit soon? Ben Lomond is one of the most popular Munros to climb with over 30,000 people hiking their way to the top to enjoy the glorious views each year! 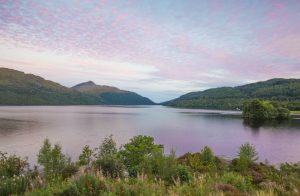 Ben Lomond is situated on the eastern shore of Loch Lomond within the Trossachs National Park, within easy reach of Glasgow and the Central Belt. From the summit there are stunning views from every direction, especially to the southern end of Loch Lomond. This walk requires slightly more skilled knowledge of hiking, especially during the winter months. Interested in taking on the challenge? Plan your stay now. Rothiemurchus Forest and the Iron Bridge is the perfect route for a gentle stroll with plenty of peace and quiet. 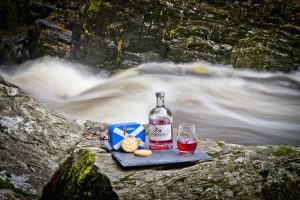 Enjoy a walk through the fantastic Caledonian forest to the iron bridge over the Am Beanaidh, offering incredible views of the Cairngorms. 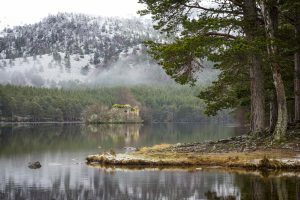 These woods are home to the rare capercaillie, and dog owners are advised to keep their pet on a short lead during the very sensitive breeding season between 1st April – 15th August. Plan your visit for 2019 here now. 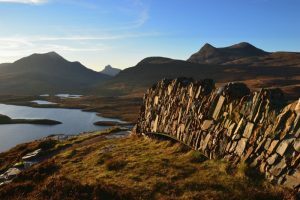 Knockan Crag National Nature Reserve located in the North Highlands near Ullapool, is one for all those history lovers out there! The low cliff of Knockan exposes rocks that set the scientific world alight in the 19th century. The Moine Thrust was created by the force of two continents crashing together millions of years ago. Explore the site further and follow the Rock Route through the North West Highlands. There you will find three routes catering for beginners to advanced walkers, all of which have fantastic views over the mountains and lochs! 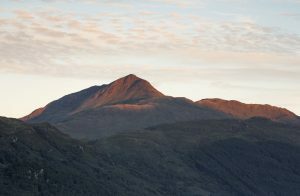 Intrigued by Knockan Crag? Book your stay in the New Year now. View even more walking routes in Scotland here.